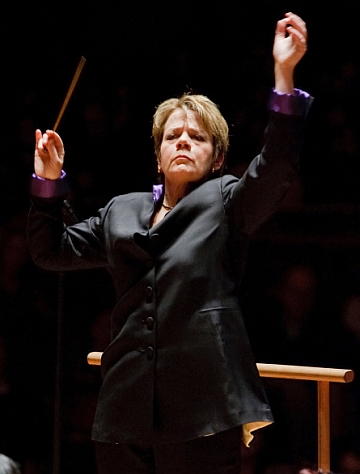 Classical music: Blue jeans for Beethoven? Will concert attendance rise if audiences dress more casually? As we come into the holiday concert season, many people who are not normally attracted to classical music concerts will be planning to attend musical events. And on many minds will be one question: How should I dress? It seems a small worry, but in a larger sense it is an important and interesting question. What do we mean by casual? No ties certainly, but what about sports jackets and sweaters? And if the presenters of musical events accept very casual dress, what will performers think? 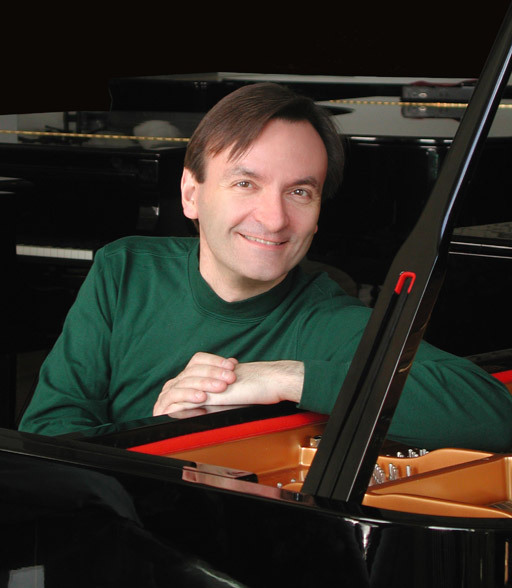 The terrific British pianist Stephen Hough (below), who has performed in Madison at the Wisconsin Union Theater and the Overture Center with the Madison Symphony Orchestra, recently blogged about this very question. Hough makes some very good points, both for and against a casual approach to attending a concert. It is well worth reading. And be sure to check out the many reader comments. 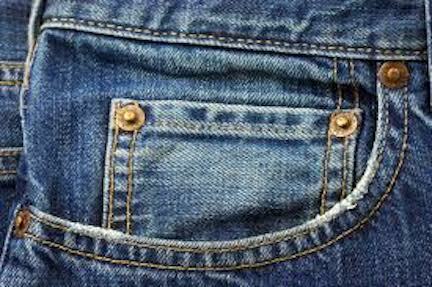 Should people be allowed or even encouraged to come in casual dress, including blue jeans? Does more formal dress show respect? Will audiences become bigger and more diverse without any kind of dress code? 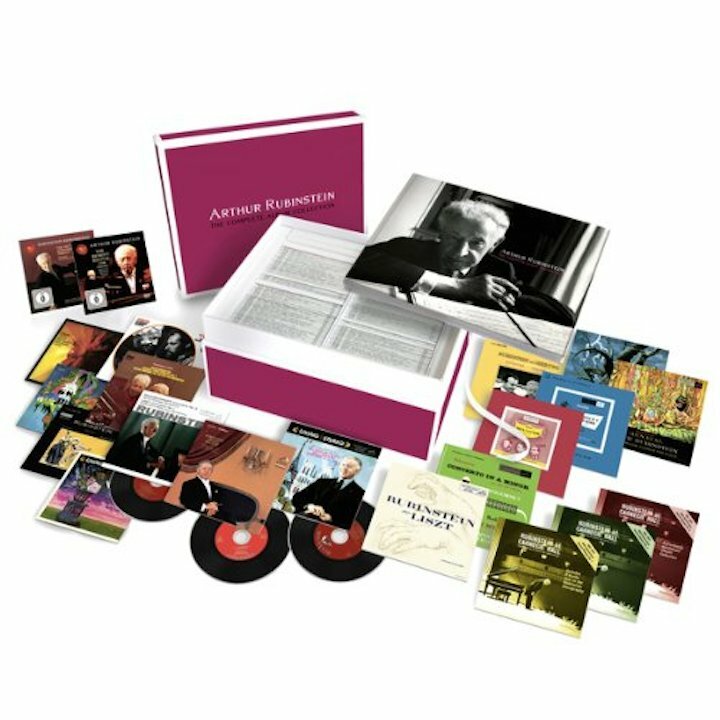 Classical music: As we head into Black Friday, Small Business Saturday and Cyber-Monday, how appealing as holiday gifts are complete CD boxed sets? 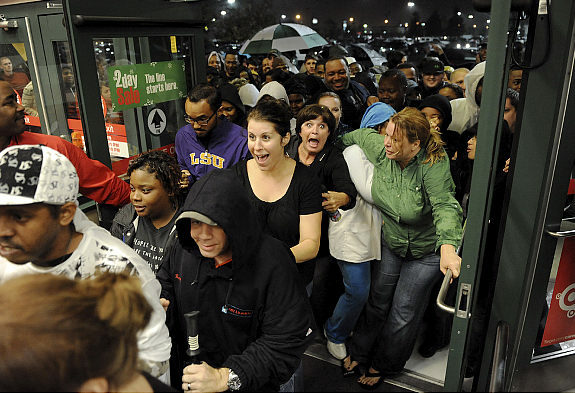 Today is Black Friday, known for deep price cuts, huge sales and outrageous store hours that draw massive crowds — and for putting retails business in the profitable black at the end of the year. Tomorrow is Small Business Saturday, which is supposed to encourage us to patronize local businesses. And Monday is Cyber-Monday for on-line Internet shopping. Never mind that they are all starting to get mixed up and to become one big, long shopping frenzy. But recently The New York Times chief music critic Anthony Tommasini (below) wrote about the phenomenon of these multi-CD boxed sets, containing dozens of CDs and costing hundreds of dollars (unless of course you are a reviewer) that often use original LP covers and that give you the encore output” – or “oeuvre,” if you like – of a particular performer (like pianist Arthur Rubinstein, below) or composer. But they also probably offer lots of duplicates to serious collectors who already have a substantial number of recordings. Tommasini remarks on the seeming contradictions of these as music becomes more and more about digital downloads rather than physical Compact Discs. He makes some intriguing points worth considering if you are hunting for a special classical music gift. 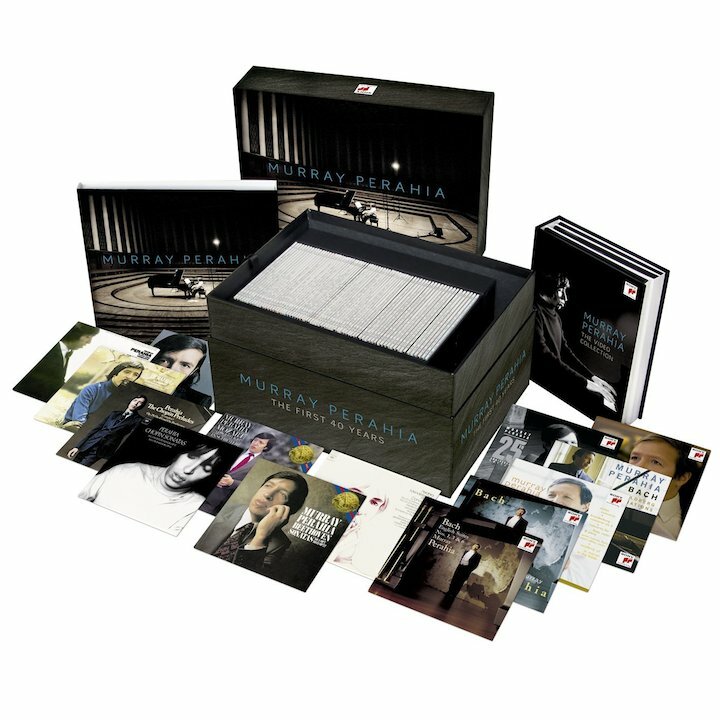 So in honor of the days-long holiday shopping frenzy that is facing us, here is a link to Tommasini’s story that covers several major pianists including Vladimir Horowitz at Carnegie Hall (below top, bowing, in a photo by Don Hunstein, and below middle in the scale model “Carnegie Hall” box container), Murray Perahia (below bottom) and Van Cliburn as well as Byron Janis, Leon Fleisher and Gary Graffman plus the composer Benjamin Britten, whose birth centennial was on Nov. 22. 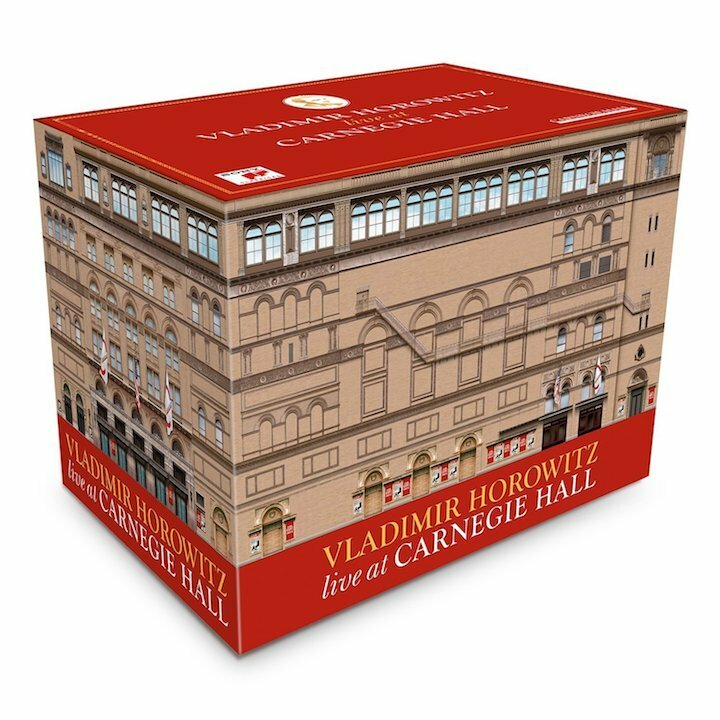 DO YOU HAVE A FAVORITE RECORDING TO RECOMMEND AS A GIFT? Classical music: Today is Thanksgiving. Which composer do you most give thanks for? The Ear’s choice is Johann Sebastian Bach – which Wisconsin Public Radio will feature in a special program today from 1 to 3 p.m. Plus, WORT FM is seeking a classical radio host for Monday mornings. Today is Thanksgiving in the U.S.
Or I have asked: Which piece of classical music do you most give thanks for. But this past year The Ear has had a very rollercoaster ride with lots of emotional up and downs. And in that year The Composer for All Seasons proved, as he almost always does, to be Johann Sebastian Bach (1685-1750, below). Sad or happy, quiet or agitated, extroverted or introspective – I always felt Bach has something special to offer me, something to about the situation, something to suit. His emotional range is enormous. He encompasses the universe. And Bach’s taps into the deepest emotion of joy and loss without wearing his heart of his sleeve. For me, Johann Sebastian Bach is The Big Bang of Western classical music. 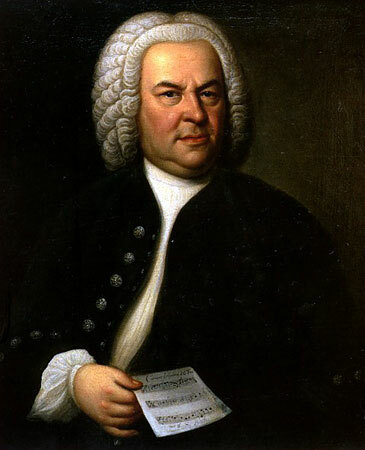 In the music of Bach, you find not only the Baroque aesthetic, but also the Classical aesthetic, the Romantic aesthetic and even the Modern aesthetic. Is there any other composer I could listen to, day in and day out, without getting bored of? I love so many of them, including Domenico Scarlatti, Wolfgang Amadeus Mozart, Ludwig van Beethoven, Franz Schubert, Robert Schumann, Johannes Brahms and Maurice Ravel. But I doubt any of them has the range, the wearing power and the sheer staying power of Bach. But you can decide for yourself – and a special program on Bach, which will air from 1 to 3 this afternoon on Wisconsin Public Radio, might help you decide. Sorry, no advance word about the playlist due to pesky and frustrating FCC regulations or something that prohibit advance posting of program playlists. How anti-tech of them! And how unhelpful! But I am anxious to hear what you think of my choice. And I am also anxious to hear if you have a choice of your own. There is so much Bach to choose from, I hardly know which piece of music to choose to link to. So as I prepare to give tanks to the miracle of Johann Sebastian Bach, I think I will link to something that is well-known but nevertheless never fails to give me consolation I need it, to reach me when I need to be reached. It is Bach’s “Sheep May Safely Graze” as transcribed for solo piano by Egon Petri, and in a popular YouTube video at the bottom is played superbly by Yoel Eum Son, who performs wonderfully clear voicings, at her final recital of 2009 Van Cliburn International Piano Competition. I am that sheep who may safely graze under the watchful eye and protective care of Bach’s music. So I say: Happy Thanksgiving to Johann Sebastian! 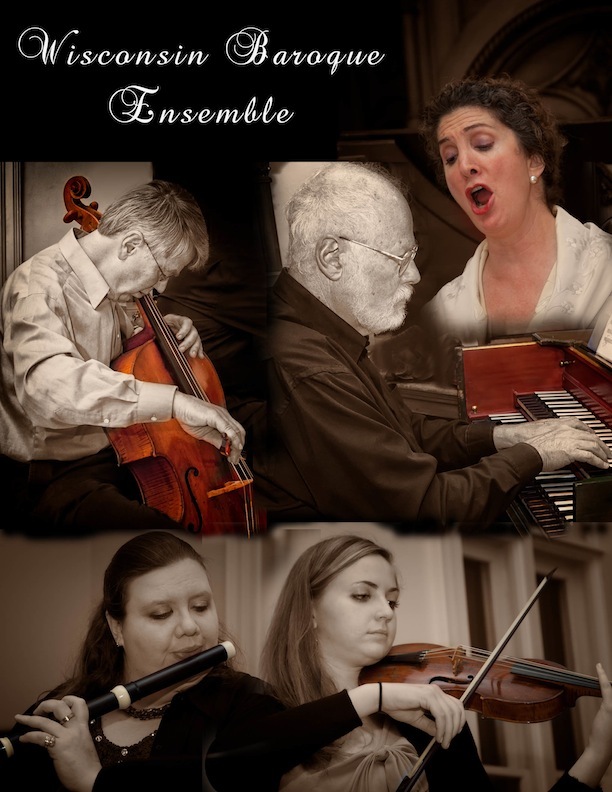 Classical music: The Wisconsin Baroque Ensemble will perform a NON-holiday concert this Saturday night. 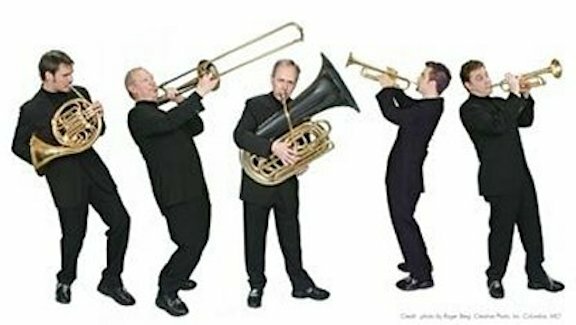 Also on Saturday, the Wisconsin Chamber Orchestra and the Canadian Brass celebrate the holidays and the city of Middleton’s 50th anniversary. 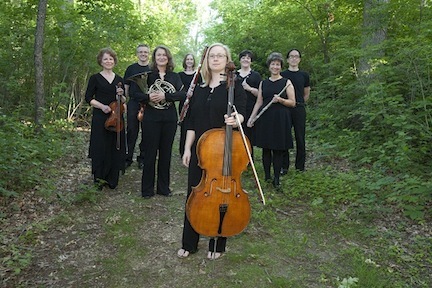 This Saturday night at 8 p.m., the Wisconsin Baroque Ensemble (below) will perform a concert of baroque vocal and instrumental chamber music performed on period instruments. 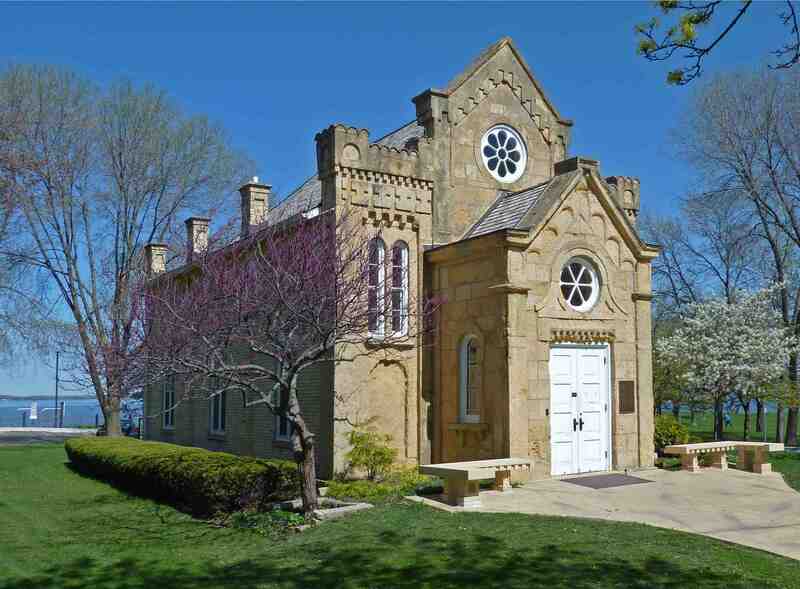 The concert will take place at the Historic Gates of Heaven Synagogue (below) in James Madison Park in downtown Madison at 300 East Gorham Street. Tickets are available at the door only: General admission is $15 ($10 for students). 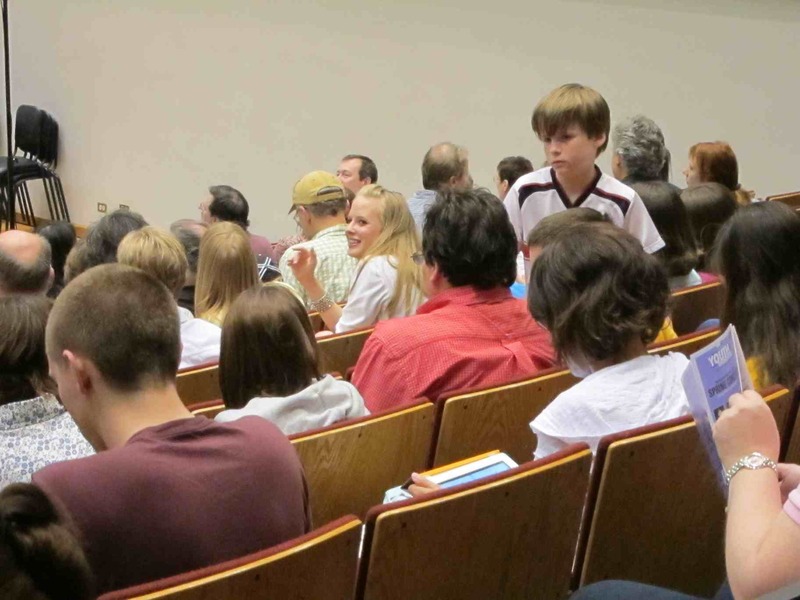 Feel free to bring your own chair or pillow (the wooden pews can feel very hard and uncomfortable). Here is the unusual program. 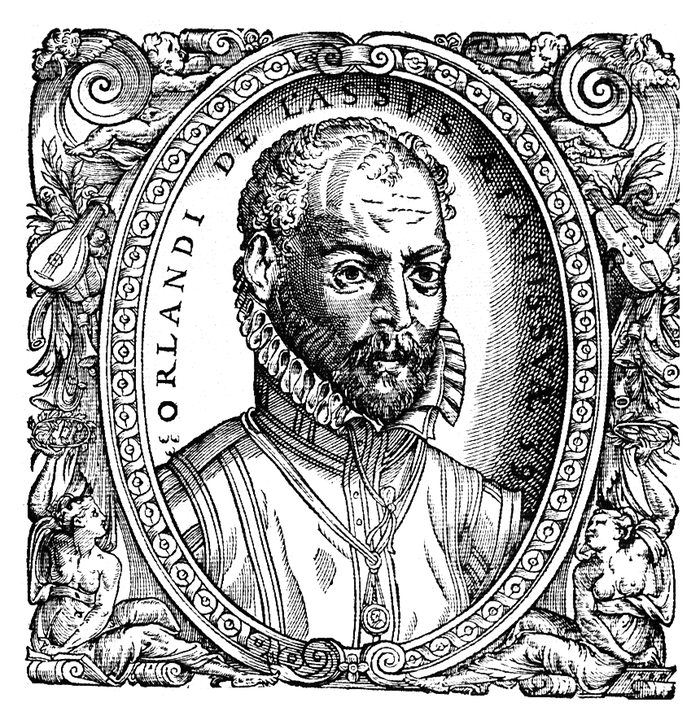 The first composer is so obscure, the members of the ensemble say that they don’t even have initials for him. For more information, visit www.wisconsinbaroque.org. 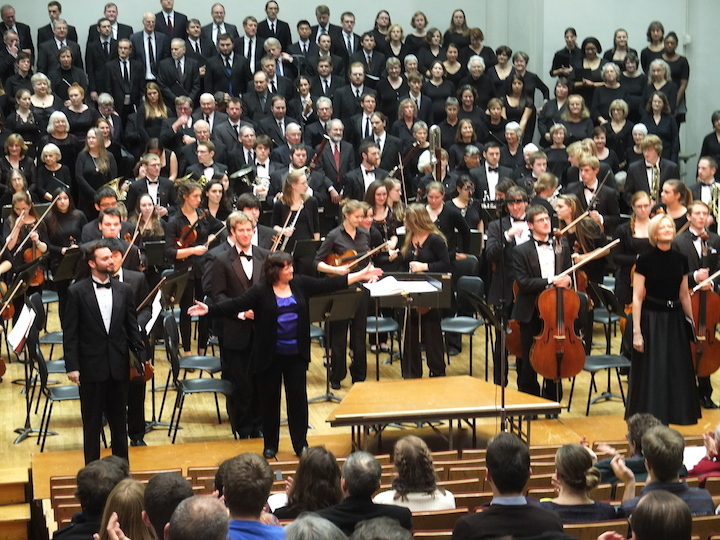 Classical music: The UW Choral Union and UW Symphony Orchestra turn in convincing and moving performances of a neglected masterpiece by Felix Mendelssohn and a great anti-war cantata by Ralph Vaughan Williams. 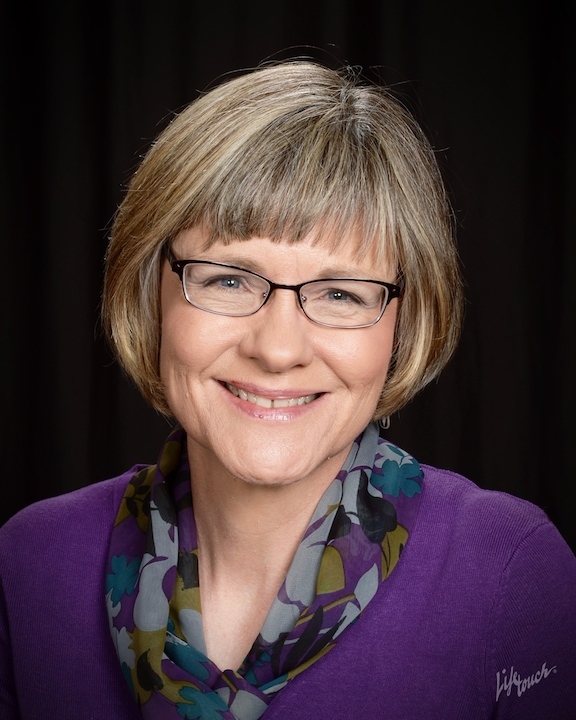 The University of Wisconsin-Madison Choral Union, conducted by Beverly Taylor, with the UW Symphony Orchestra, gave two performances on Saturday night and Sunday afternoon of a program that deserved even more of an audience than actually turned out. Only two works were involved, and quite contrasting ones. The first was Felix Mendelssohn’s “Die erste Walpurgisnacht “ (“The First Witches’ Sabbath”), using a poem by Johann Wolfgang von Goethe. The second was the cantata by Ralph Vaughan Williams, “Dona nobis pacem,” using a deliberately ironic mix of texts. 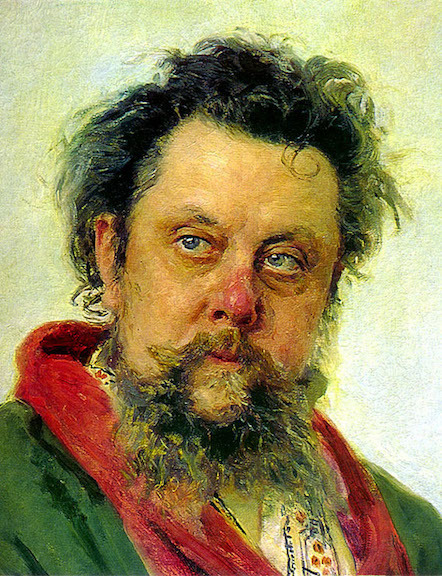 UW student violist and conductor Mikko Utevsky, who sang in the tenor section, has already described these two works in his preview article recently posted on this blog, so there is no need for me to repeat what he has set out. One may debate if the text was worth the effort that Mendelssohn put into it, and whether its brief requirement of a large performing force makes it not an economic concert favorite. Still, its extended overture is, quite simply, one of the composer’s finest piece of orchestral writing, and the vibrant choral segments are the work, after all, of one of the handful of composers who could compose truly idiomatic choral music. There were a few rocky orchestral moments at the very beginning of the piece, especially in the strings, and occasional touches of weak co-ordination. 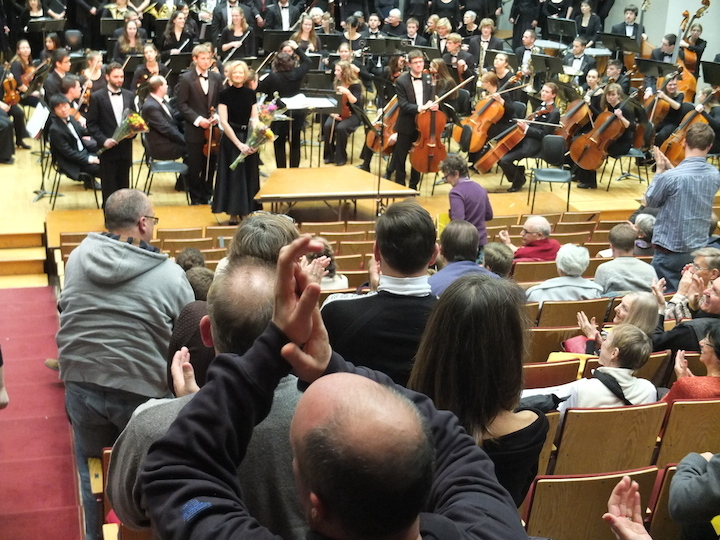 But the orchestra pulled together some fine sound, worthy of the standards that James Smith’s training has set for it. Of the three vocal soloists (below, with conductor Beverly Taylor of the far left) tenor Klaus Georg (middle) had a strong voice, but a not very smooth one. 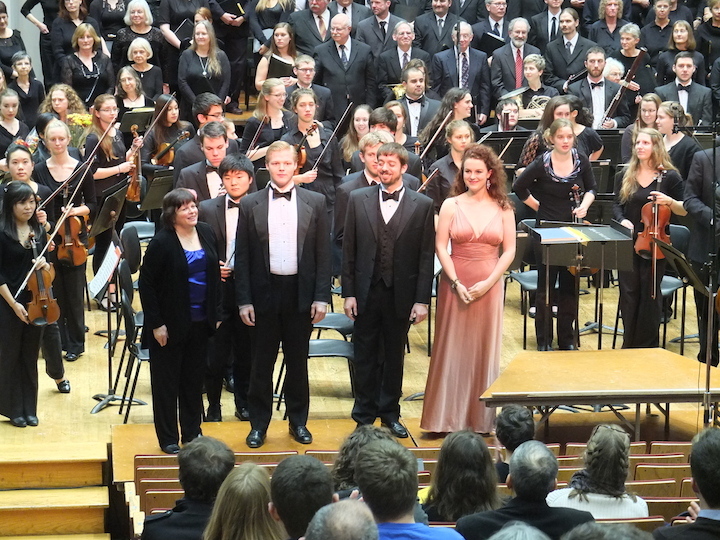 Mezzo-soprano Caitlin Ruby Miller (far right) had such smoothness for her one solo, but not much projecting power. Baritone Erik E. Larsen (second from left) brought a bit more character to his solos. The real star, though, was the chorus: it can always be counted on for robust sound, and its singers really had a ball working up the Druids’ pagan, anti-Christian frenzies. 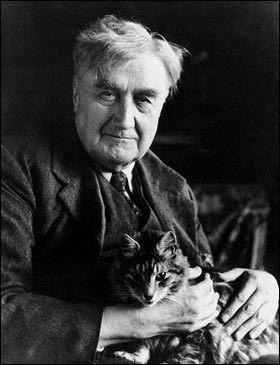 The cantata by Ralph Vaughan Williams (below) was composed in 1937, reflecting the composer’s disillusioning experience in World War I, and his just apprehensions about what would become World War II. Such a juxtaposition of compassionate poetry against Latin liturgy was made famous by Benjamin Britten, of course, in his acclaimed “War Requiem.” But, in his more compact venture, Vaughan Williams set a bar of expressiveness so high that not even Britten, with all his cleverness and monumentality, could really match. Each of the movements of the cantata carries potent messages of poignancy and protest, while there is even some final (if uncertain) optimism. The score’s centerpiece is the long setting of Whitman’s “Dirge for Two Veterans,” a movement of absolutely shattering anguish amid discredited military posturing. There are few other things like it in the choral literature. 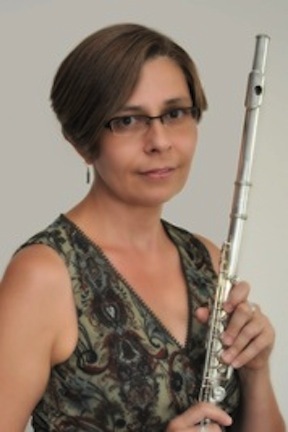 There are two soloists required for this work. Visiting faculty soprano Elizabeth Hagedorn (below right with Beverly Taylor in the center) was beautifully chilling in the reiterations of the “Dona nobis pacem” motto, while baritone Jordan Wilson (below right) captured the poignancy of Whitman’s “Reconciliation” (at bottom in a YouTube video) a more concise and heart-grabbing predecessor to the culminating Wilfred Owen poem that Britten used in his grander work. But, again, with stout backing from the orchestra, the chorus was a tower of choral strength, equally forceful in parodistic militarism, in piercing anguish, or in hopeful joy. Say what you will about the acoustics of Mills Hall in the UW’s Humanities Building, but it is the proper home for a powerful chorus confronting an enthusiastic audience with clarity and presence. Praise, by the way, for the program booklet, which included all the vocal texts, as well as some excellent program notes. It proved an ideal topping for a rich, but nourishing cake of a concert! Classical music: The centennial of British composer Benjamin Britten was Friday. Here are three fine appreciations of him and his music. 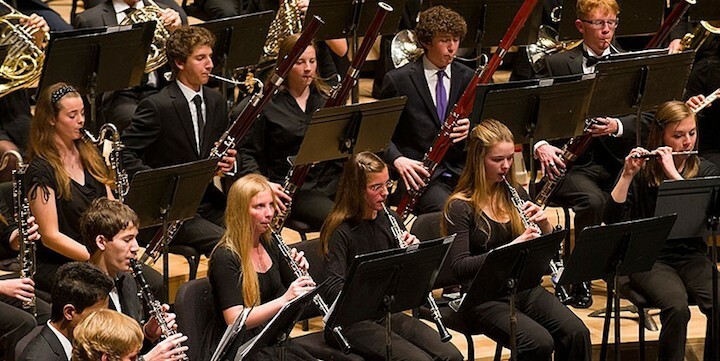 Plus, you can watch the State High School Honors Concerts today and Monday on Wisconsin Public Television. 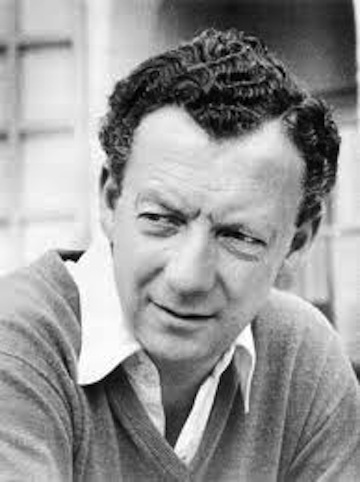 No one could blame you if you missed the centennial of British composer Benjamin Britten (below). 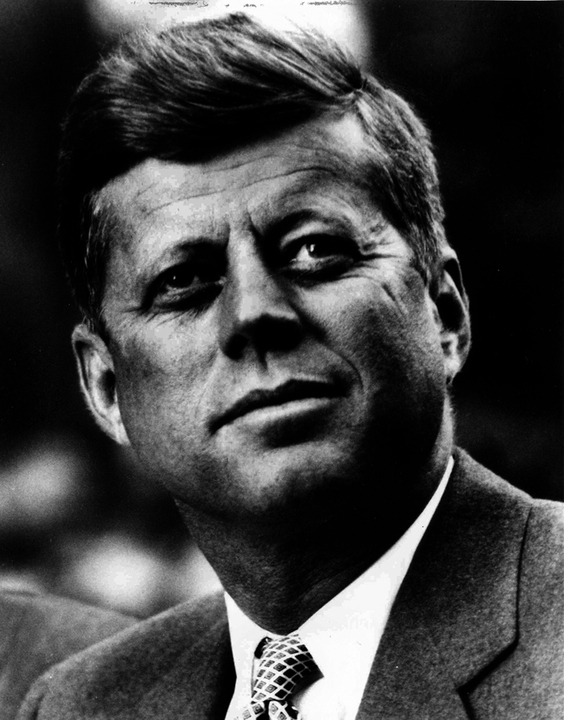 After all, the Britten celebration was largely overshadowed by the 50th anniversary of the assassination of President John F. Kennedy, which also fell on this past Friday, Nov. 22. But Benjamin Britten was a great composer, for more reason than many of us realize. 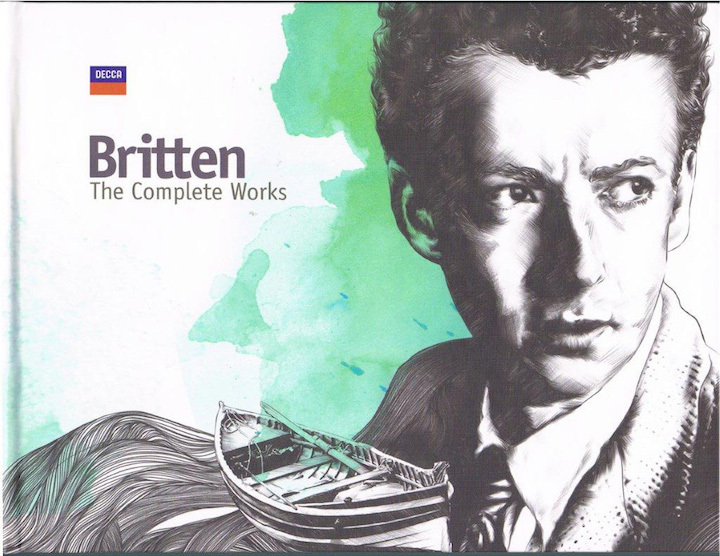 Do you have a favorite piece by Benjamin Britten? What is it and why is it a favorite? Classical music: Listen to American violinist Hilary Hahn revive the old tradition of salon music by playing the 27 short encores she commissioned from today’s important composers. A frequent critic and gifted guest reviewer on this web site recently referred to Chicago violinist Rachel Barton Pine as the most exciting violin talent to emerge on the American scene. Well, Barton Pine is indeed special and very gifted, as she proved earlier this month when she opened the Wisconsin Union Theater season with the magnificent Violin Concerto by Johannes Brahms, performed with the University of Wisconsin-Madison Symphony Orchestra conducted under the baton of UW alumnus and Madison native Kenneth Woods. But The Ear has to respectfully disagree. 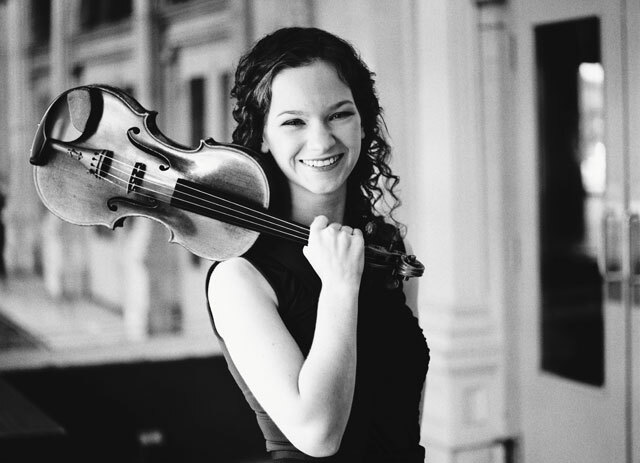 For my money, or my taste, or my values — whatever you want to call it — the most exciting violin talent on the American scene is Hilary Hahn (below). Hahn performs the classics and the great masterworks terrifically, with a great sense of architectural shape and beautiful tone, plus exciting but not exaggerated or distorted interpretations. 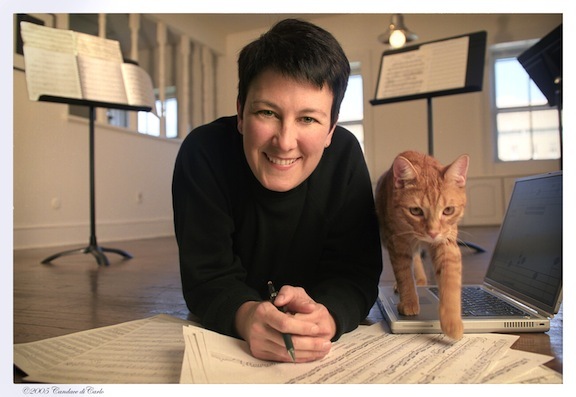 She also plays modern works and commissions works, including a Pulitzer Prize-winning Violin Concerto by Jennifer Higdon (below) who teaches composition at the same Curtis Institute of Music in Philadelphia where Hahn trained. 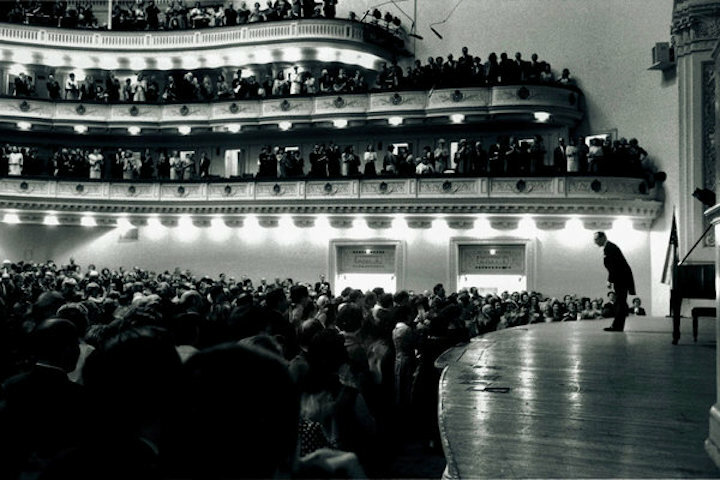 And her two recitals with the then relatively unknown pianist Valentina Lisitsa at the Wisconsin Union Theater were among the best performed and most originally programmed recitals that I have ever heard. Oh, and Hilary Hahn also blogs, by the way. And she also did her own interviews, posted on YouTube, with the 27 composers — including Max Richter, Lera Auerbach and Avner Dorfman — who composed the encores. 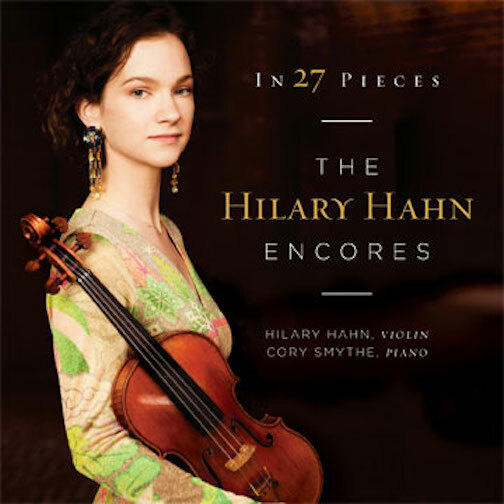 Now the heirloom record label Deutsche Grammophon has released the “The Hilary Hahn Encores in 27 Pieces,” which features 27 recently composed pieces, all commissioned by Hahn for her use as concert encores. It is a welcome throwback, in a way, to salon music and to composers like virtuoso violinist Fritz Kreisler. NPR did the same for Jeremy Denk’s acclaimed new recording for the Nonesuch label of Johann Sebastian Bach’s “Goldberg” Variations. Anyway, here is a link to the new Hilary Hahn CD of encores. Enjoy the music and listening to it. And let us know your Top 5 picks of the 27, or even just your Top Pick. It will be interesting to see if there is a consensus and what ones are liked the most. 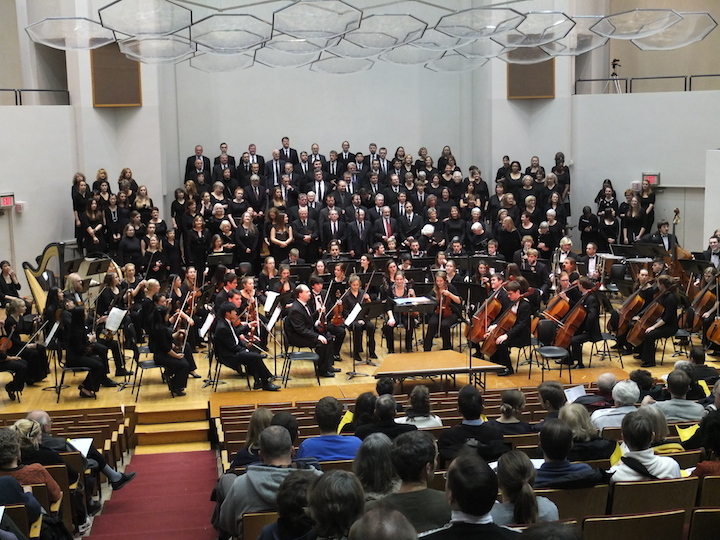 Classical music: The UW Choral Union and UW Symphony Orchestra will perform works by Mendelssohn and Vaughan Williams this Saturday night and Sunday afternoon. 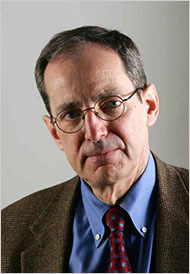 Loyal readers of this blog know the name Mikko Utevsky. The young violist and conductor is a sophomore at the University of Wisconsin School of Music, where he studies with Pro Arte Quartet violist Sally Chisholm and plays in the UW Symphony Orchestra. Utevsky, who has won awards and impressive reviews for his work in music education since his days at Madison’s East High School, is the founder and conductor of the Madison Area Youth Chamber Orchestra, which will perform its fourth season next summer. 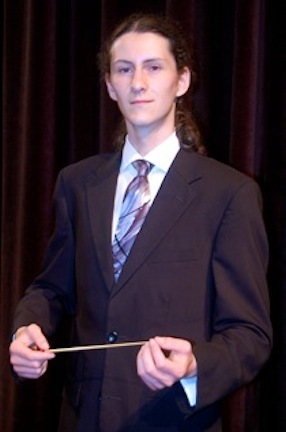 He was recently named the new Music Director of a local community orchestra, The Studio Orchestra. The ensemble has an out-of-date website here (www.disso.org). 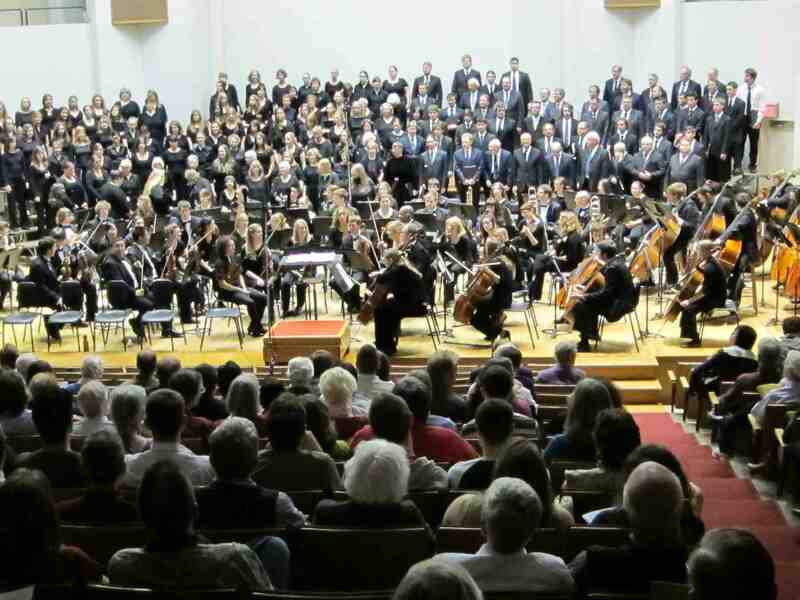 Utevsky offered The Ear a guest preview of a concert this coming weekend by the University of Wisconsin-Madison Choral Union and the UW Symphony Orchestra. I immediately took him up on the offer. 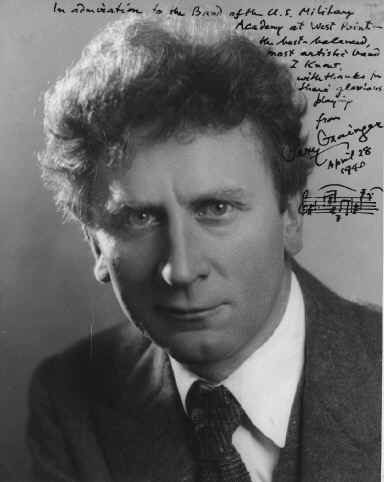 After all, he is a fine and perceptive writer who, you may recall, blogged for this post when he was on tour two summers ago with the Wisconsin Youth Symphony Orchestras (WYSO) tour to Vienna, Prague and Budapest. This weekend, UW-Madison Choral Director Beverly Taylor (below top, in a photo by Katrin Talbot) brings a wonderful and varied program to the stage of Mills Hall, consisting of a pair of choral and orchestral works performed by the UW Choral Union and the UW Symphony Orchestra (both below bottom, the latter fresh off of a critically acclaimed performance of Dmitri Shostakovich’s Fifth Symphony and the Brahms Violin Concerto with soloist Rachel Barton Pine). 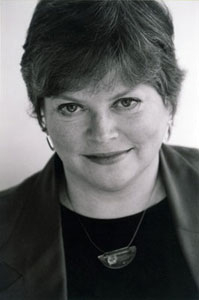 The choral concert, which can be heard Saturday night at 8 p.m. and Sunday afternoon at 2 p.m. — and in which, for full disclosure, this writer will be singing — features an unusual pair of secular and half-sacred cantatas: “Die Erste Walpurgisnacht” (The First Walpurgis Night) by Felix Mendelssohn (bellow top) and “Dona Nobis Pacem” by Ralph Vaughan Williams. 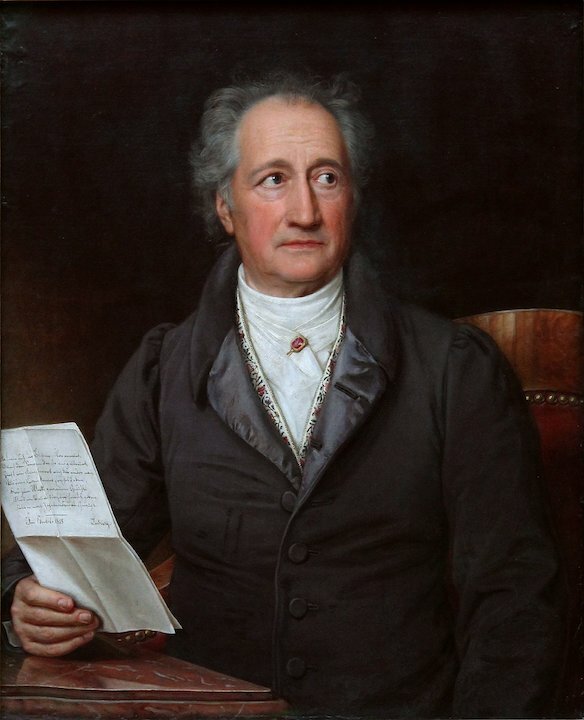 Mendelssohn’s work, by far the stranger of the two, is on a text by the great German poet Johann Wolfgang von Goethe (below), and is set for soloists (UW student Caitlin Miller, German tenor Klaus Georg, and UW student bass-baritone Erik Larson), chorus and symphony orchestra. It tells the story of a group of Druids who, by virtue of their guile and some clever trickery, scare away the Christian soldiers who occupy their land so they can celebrate May Day in peace. While the plot is set in May, some of the music today feels more appropriate for Halloween, particularly as the Druids masquerade as devil-worshippers and demons to frighten the Christians. Left to their own devices at last, the druids end the cantata in a blaze of light. 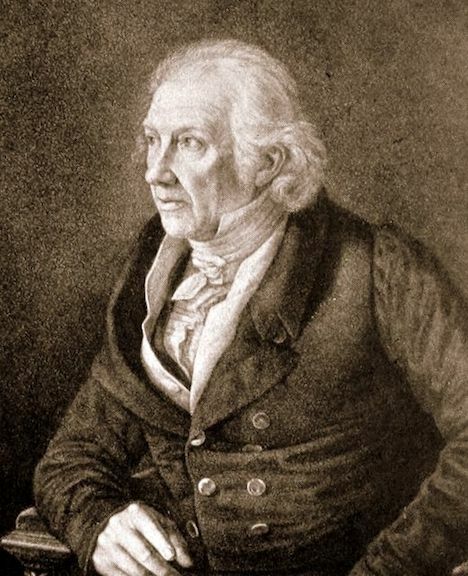 The poet had intended this text for musical treatment, but had expected his friend Carl Friedrich Zelter (below) to set it. 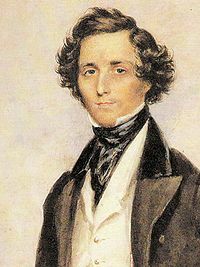 Zelter tried twice, but only Mendelssohn eventually completed a setting in 1831 (which he revised extensively in 1843), probably attracted to the nocturnal mischief that at times recalls both atmosphere and Mendelssohn’s music for “A Midsummer Night’s Dream.” The work runs about 35 minutes. The second half of the program consists of a better-known 20th-century masterwork — of similar length and vastly greater weight — that treads the line between the sacred and the secular: “Dona Nobis Pacem” by Ralph Vaughan Williams. 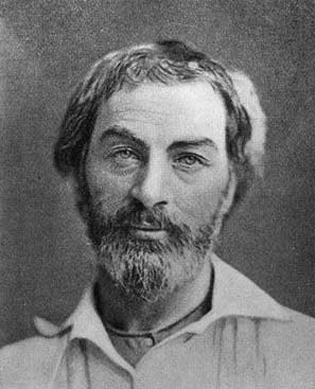 This cantata, which will feature soprano and visiting UW professor of voice Elizabeth Hagedorn (below top) and student baritone Jordan Wilson as soloists along with the chorus and orchestra, is compiled from a variety of texts, primarily Biblical selections and poems of Walt Whitman (below bottom). 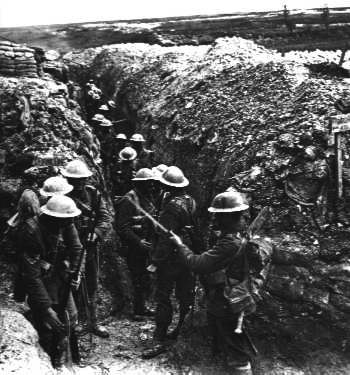 Composed in 1936, it is both a spiritual and human prayer for peace, mourning the dead of the First World War (below) and praying that there will not be a Second. 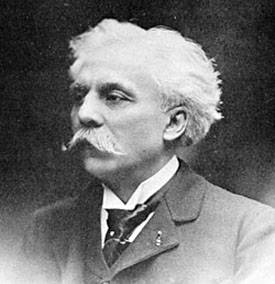 The Latin “Dona Nobis Pacem” (“Grant us peace”) appears throughout the work as a refrain, interjected by the soprano soloist, who also features prominently in the first movement (“Agnus Dei”). The second movement, “Beat, beat drums!” portrays the chaos of war, and the third and fourth (“Reconciliation,” featuring the baritone, and a choral “Dirge for Two Veterans”) mourn the senseless loss of life that it brings. 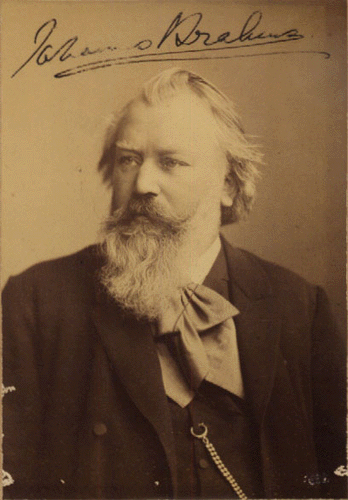 The fifth movement begins with a John Bright speech, “The Angel of Death has been abroad throughout the land,” and proceeds into a selection from the book of Jeremiah. It is a profoundly moving work, with beautiful music and poetry, and can serve to remind us in times of strife that the truest service to the memory of the fallen is to strive for the end of conflict and the coming of peace. I hope you will join us Saturday or Sunday for a program that is not to be missed. Performances are in Mills Hall in the Mosse Humanities Building, 455 North Park Street, on Saturday night, Nov. 23, at 8 p.m.; and on Sunday afternoon, Nov. 24, at 2 p.m.
Tickets are $15 for general admission, $8 for students and seniors. They are available by calling (608) 265-2787 and at the door. Please note: There are sports games Friday night and parking will be difficult, so leave early and allow extra time for delays.